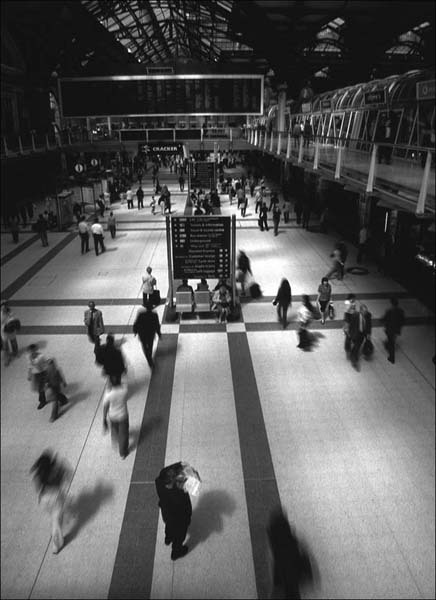 Ron and Maggie Tear Photography: Lost Liverpool Street Station. Due to tight security it is now impossible to take images at this site. Taken from the first floor concourse, an observation of time. Every one in a rush except the gent who is apparently lost.